Slice in uniform pieces the fresh tomatoes and the mozzarella cheese. 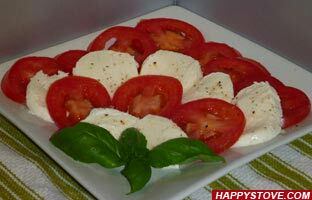 Lay, on a large plate, alternate lines of tomatoes and mozzarella cheese with the desired pattern. Add the basil leaves and sprinkle with salt and pepper. Drop some oil on top to dress. Keep refrigerated. 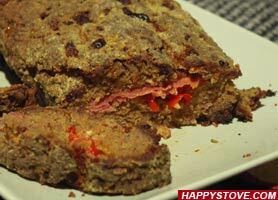 Remove from the fridge 15-20 minutes before serving.